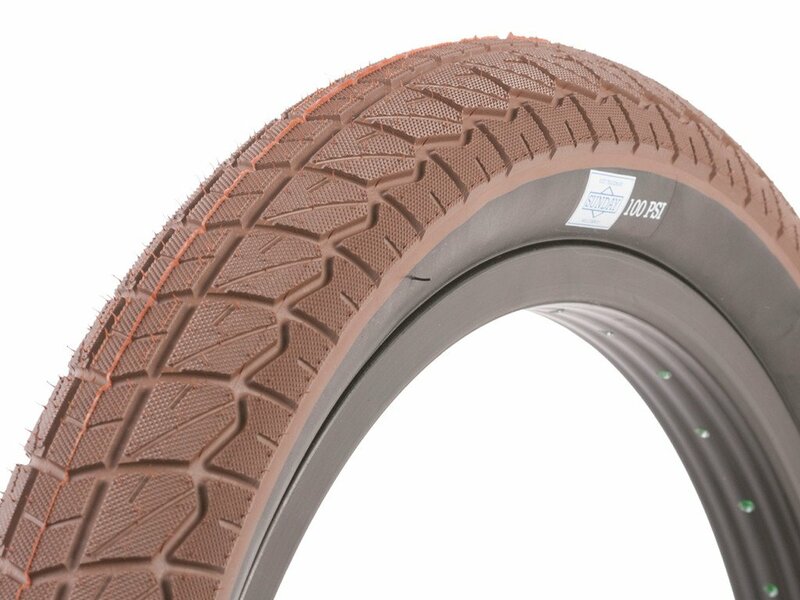 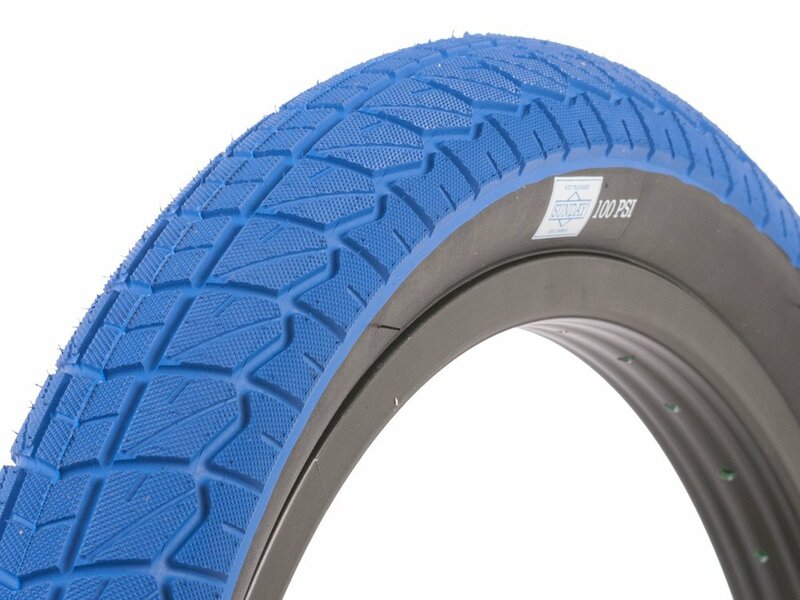 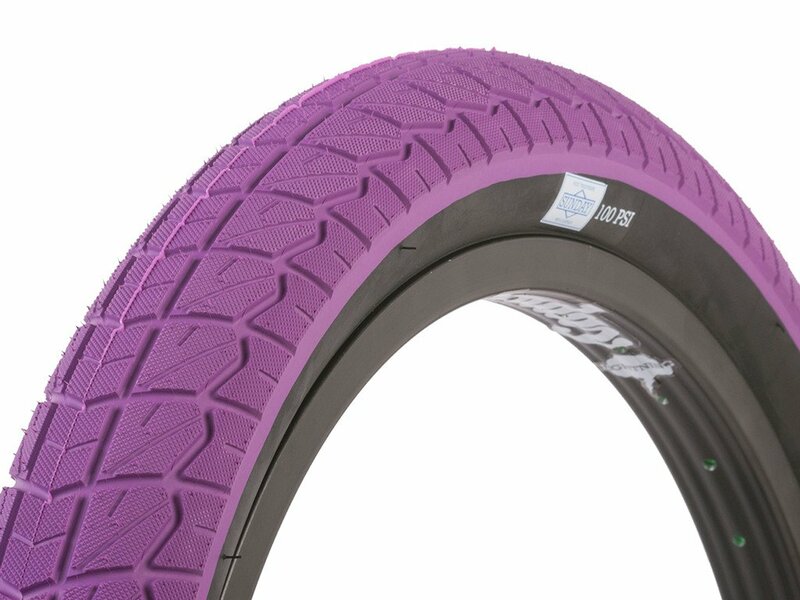 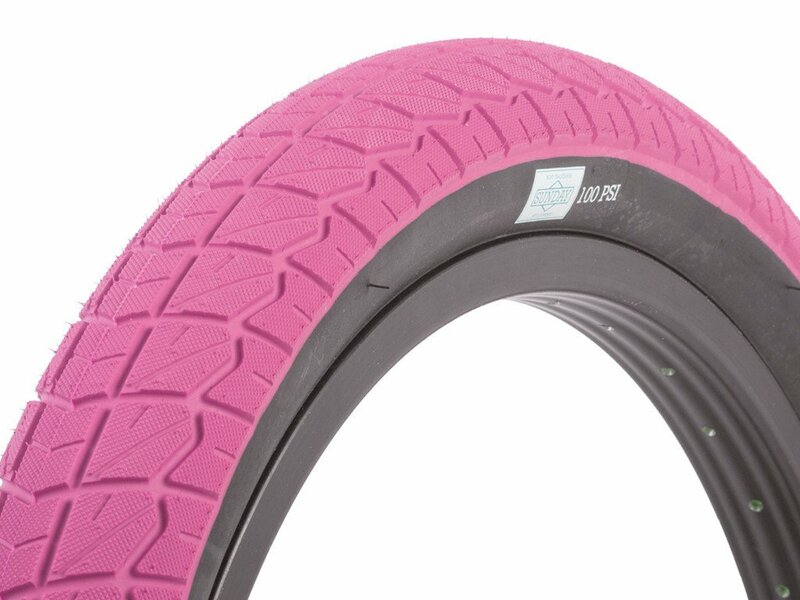 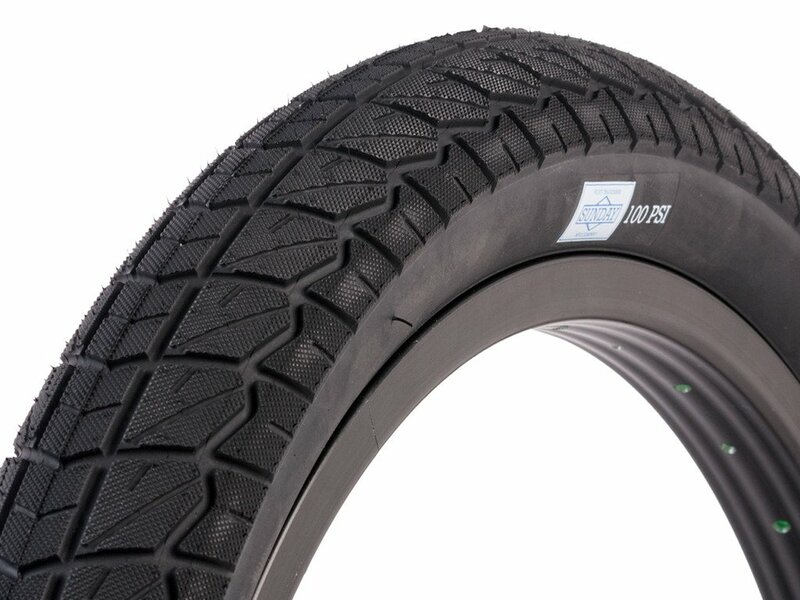 The Sunday Bikes "Current 20" BMX Tire - 20 Inch has a grippy tread pattern and fitts whith a pressure of max. 65psi (4.5 Bar). The Sunday Bikes "Current 20" BMX Tire - 20 Inch is a allround tire which is in a low price segment.